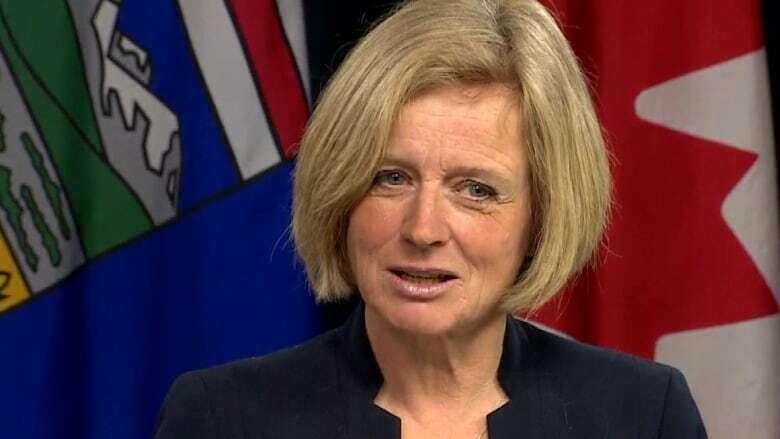 Alberta Premier Rachel Notley is encouraging people to sign a petition telling B.C. Premier John Horgan and his government to stop blocking the Kinder Morgan Trans Mountain pipeline extension. 'Keep Canada Working' site will be advertised in Alberta and B.C. Alberta Premier Rachel Notley is encouraging people to sign a petition telling B.C. Premier John Horgan and his government to stop trying to block the Kinder Morgan Trans Mountain pipeline expansion. The link to the petition is on a new Alberta government website launched Tuesday called "Keep Canada Working." The site also allows people to send form letters in support of the pipeline to their MPs, and talk about why the pipeline project is important to them on social media sites. "This fight, it isn't something any one government can do alone," Notley said in a news release. "We need all of us working together to make sure the B.C. government fully understands why this pipeline matters, why good jobs matter and why the rules of our country matter." The government plans to promote the website in both Alberta and British Columbia through online advertising. This is Notley's latest tactic in her fight against B.C. 's decision two weeks ago to further review of the oil-spill risk from the pipeline expansion. The estimated cost of the campaign, which in addition to the website includes social media videos outlining the benefits of the Trans Mountain project to B.C., both regionally and provincially, is $280,000. The cost to develop and maintain the "Keep Canada Working" web site is approximately $10,000, but could be less depending on how long the site needs to remain online. Last week, Notley announced Alberta would no longer import wine from British Columbia for sale in the province's retail outlets. She said on Monday she would give talks between B.C. and federal officials a couple of days before taking further action.